SXT trim. UCONNECT VOICE COMMAND W/BLUETOOTH, CD Player, Keyless Start, SIRIUS SATELLITE RADIO, SPORT APPEARANCE PACKAGE, TRANSMISSION: 5-SPEED AUTOMATIC (W5A5... ENGINE: 3.6L V6 24V VVT. AND MORE! CD Player, Keyless Start. Dodge SXT with Granite Crystal Met. 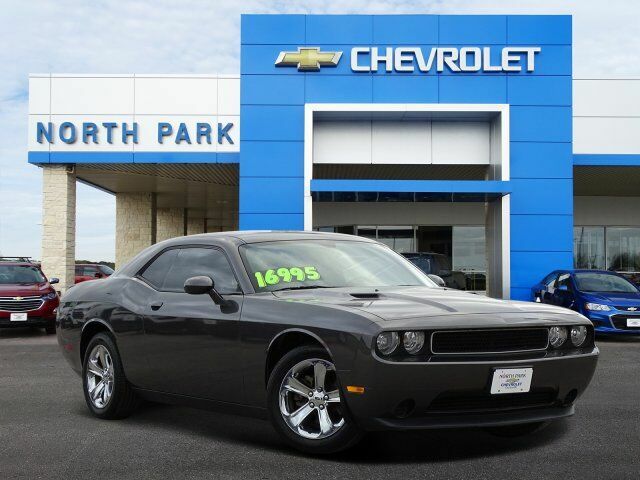 Clear Coat exterior and Dark Slate Gray interior features a V6 Cylinder Engine with 305 HP at 6350 RPM*. SPORT APPEARANCE PACKAGE Rear Bodycolor Spoiler, Wheels: 18" x 7.5" Aluminum Chrome Clad, UCONNECT VOICE COMMAND W/BLUETOOTH Rear View Auto Dim Mirror w/Microphone, Bluetooth Streaming Audio, Remote USB Port, SIRIUS SATELLITE RADIO, For More Info, Call 888-539-7474, ENGINE: 3.6L V6 24V VVT (STD), TRANSMISSION: 5-SPEED AUTOMATIC (W5A580) (STD). Keyless Entry, Steering Wheel Controls, Electronic Stability Control, Bucket Seats, Brake Assist, 4-Wheel ABS, Climate Control. "Pugnacious yet practical, rowdy yet refined, the Challenger possesses a surprisingly diverse skill set. Its sheet metal may be unabashedly retro, but the Challenger has a lot more to offer than just nostalgia." -Edmunds.com.